Rochelle Humes of The Saturdays was pictured wearing the popular leather station necklace from Nicole Richie's House Of Harlow 1960 collection. Rochelle also wore this necklace last year. The House Of Harlow 1960 leather stations necklace it was of the very first pieces ever designed by Nicole for her collection, but it has stood the test of time and has remained one of the most worn piece from her entire collection. Click Here to see other celebs wearing HOH1960. 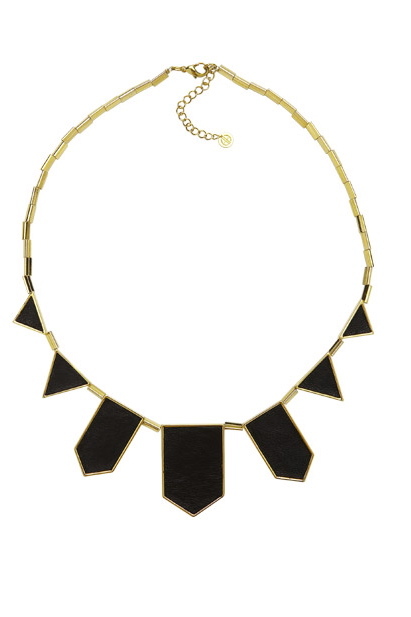 Shop Rochelle's House Of Harlow 1960 leather stations necklace at The Trend Boutique.